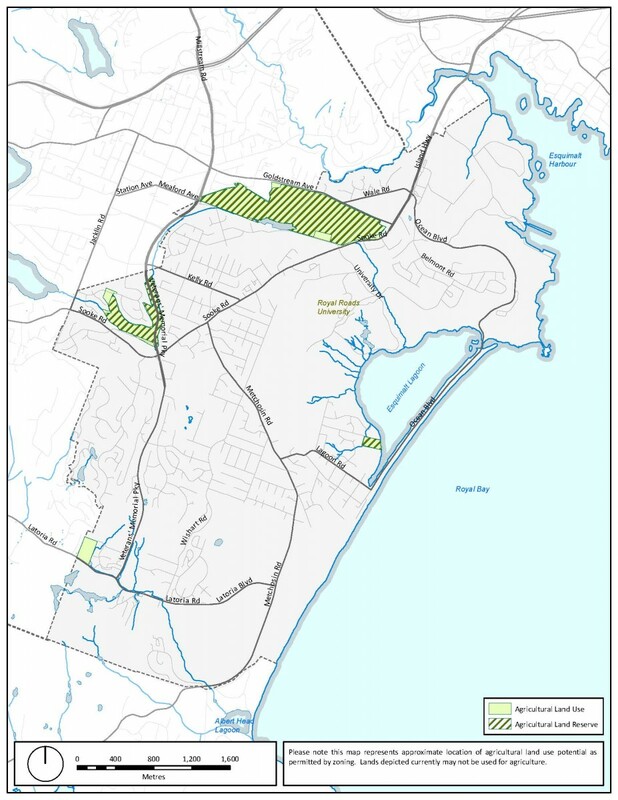 Nine new background maps have been added to Colwood's draft Official Community Plan (OCP). 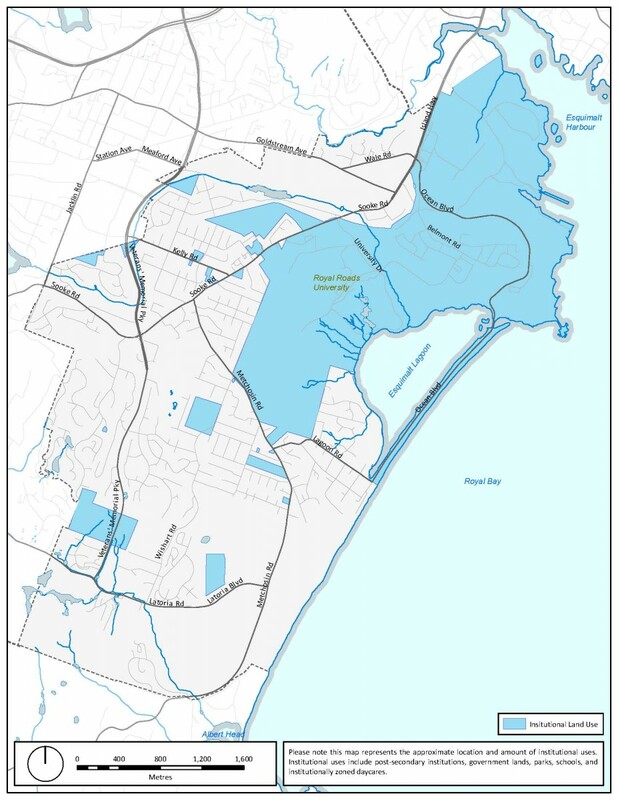 Colwood Council is taking this extra step to ensure the plan is clear, complete, and meets all legislated requirements, despite the fact that many contemporary OCP's do not include all the background information specified in the Local Government Act. 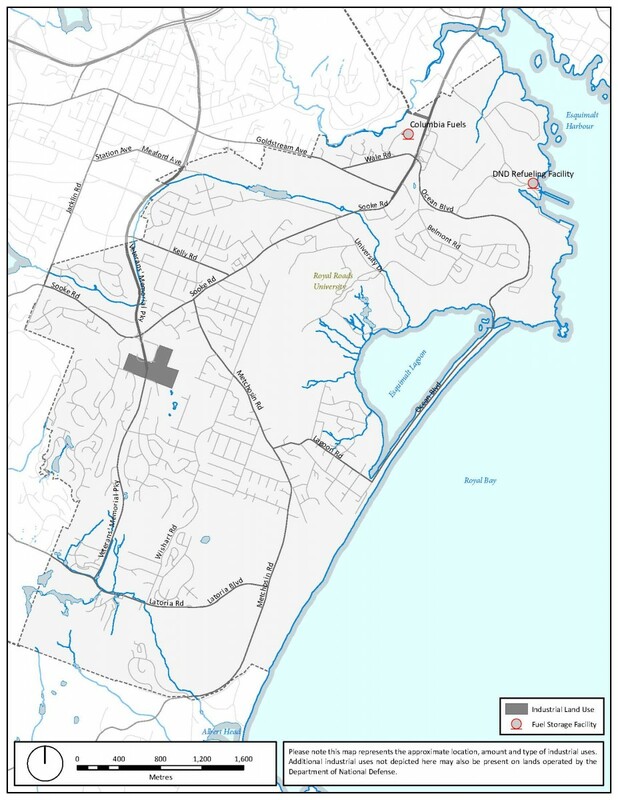 The information on the maps provides clarity for people who live in Colwood and those considering purchasing or building on a Colwood property, as well as current and prospective business owners. 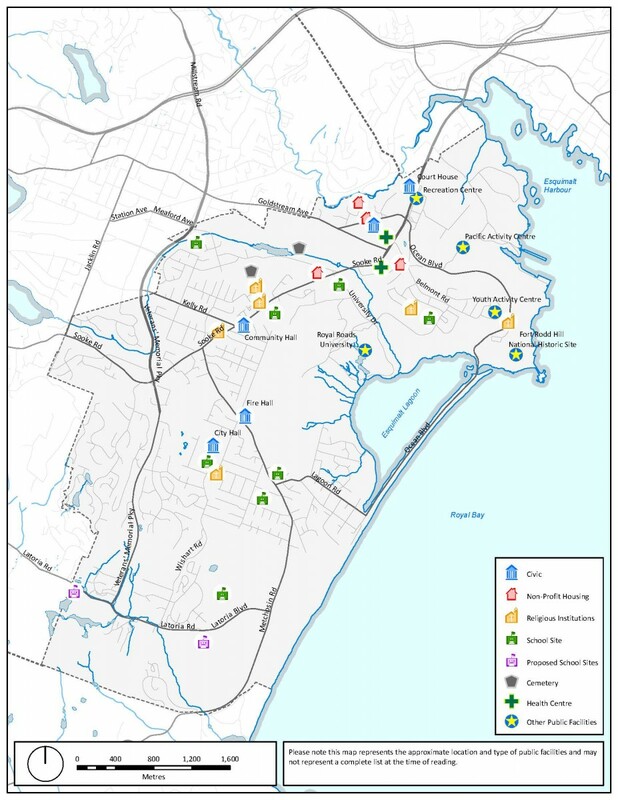 The maps offer an opportunity to better understand the various zoning, public infrastructure, and utility aspects of a community that are not always apparent but must be considered with each new initiative, service, or development undertaken by the City. The nine maps are described and depicted below. 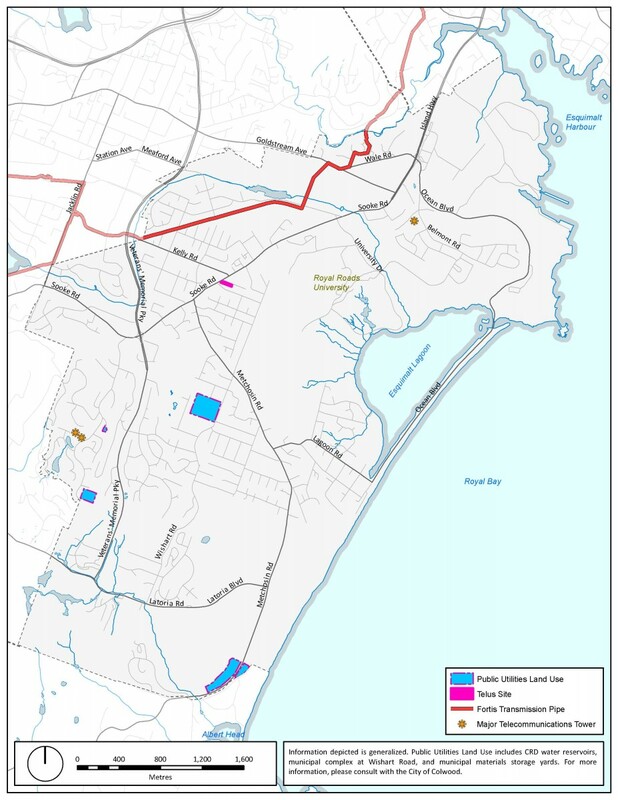 Shows areas zoned for commercial (business) use, as well as development areas that have been approved for future commercial uses. Shows areas zoned for industrial uses such as manufacturing and production. Shows areas zoned for institution uses intended to serve the community's social, educational, health, cultural or recreational needs, such as schools and health centres. Shows areas zoned for agriculture and other uses permitted by the Agricultural Land Commission. 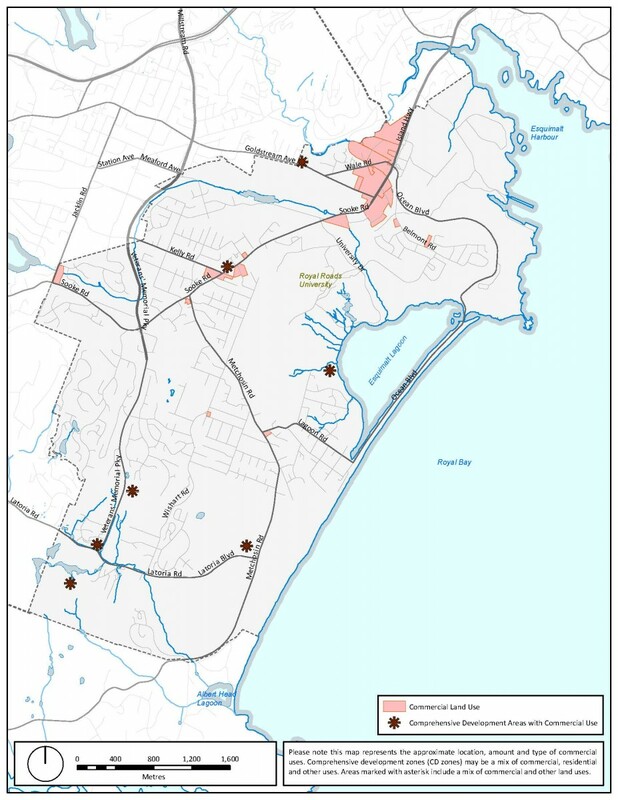 Shows the locations of utilities such as public works, water pump stations and communications facilities. Shows the locations of sand and gravel deposits suitable for future extraction. There are no sites identified within Colwood. 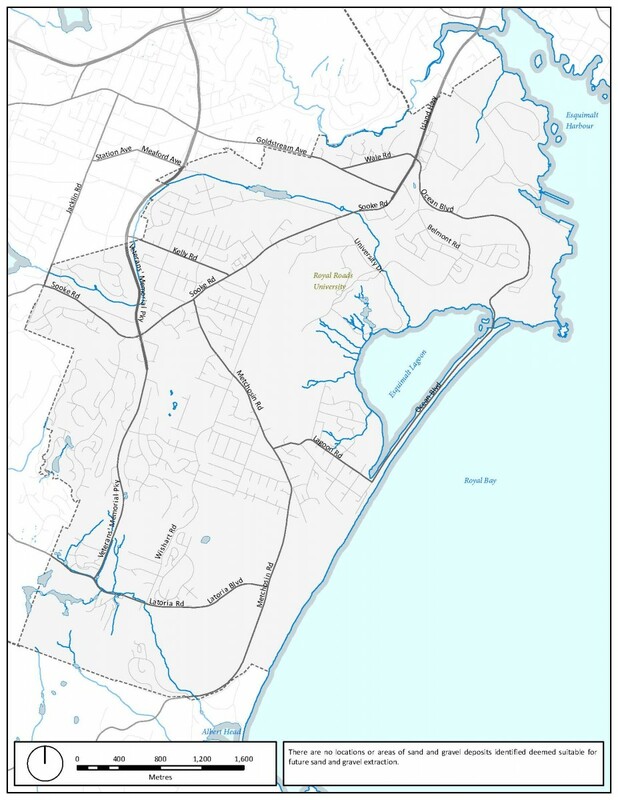 Shows the location of all existing sewer trunk lines, gravity mains, forcemains, and pump stations, as well as areas where sewers are planned as future phases of development. 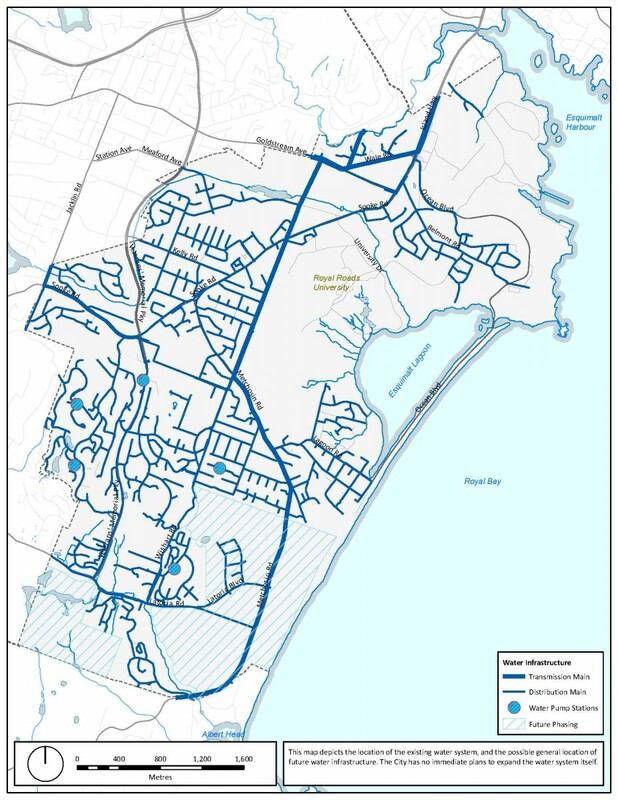 Shows the location of all water transmission mains, distribution mains and water pump stations, as well as areas where water service is planned as future phases of development. Shows the location of all public facilities used for civic, non profit, religious, school, cemetery, health and other public uses. 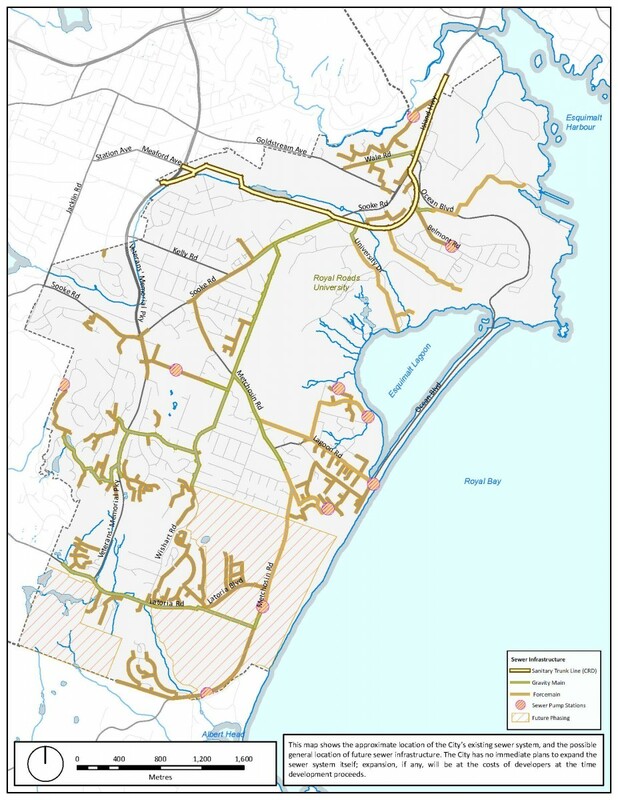 Review the full draft Colwood Official Community Plan and learn more about how the plan was developed at www.colwood.ca/OCP.